Today is Memorial Day, a national holiday in the U.S. when we remenber those who died while serving in the armed forces. It’s a day of barbecues, parades, the laying of wreaths, veterans and scouts in uniform, picnics, and sporting events. True Americana. But I know many readers reside in other countries, so instead of my usual Monday post, here are some of my favorite recent articles from this year. They are informative, some are controversial, and each spurred a spirited discussion. 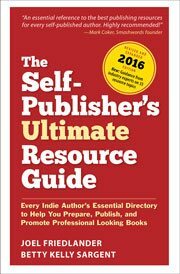 The authors represent the variety of voices of book publishing professionals with something to offer indie author. I’m very proud to feature them here.